Crafting with Feminism is a phenomenal book that is filled to the brim with 25 projects centered around the power of ladies. There are designs for rad felt patches, cool mugs, even tampon monsters. What’s not to love? Literally nothing. 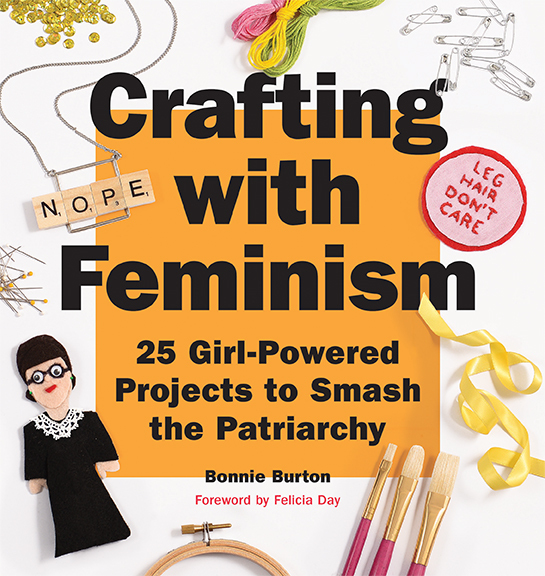 I’m not much of one for buying books on crafting because there’s a lot that we can just google now, but this one I suggest you buy for all the feminists in your life (and if you don’t feel like shelling out that much dough, buy a copy for yourself and gift your homemade treasures to those ladies)! 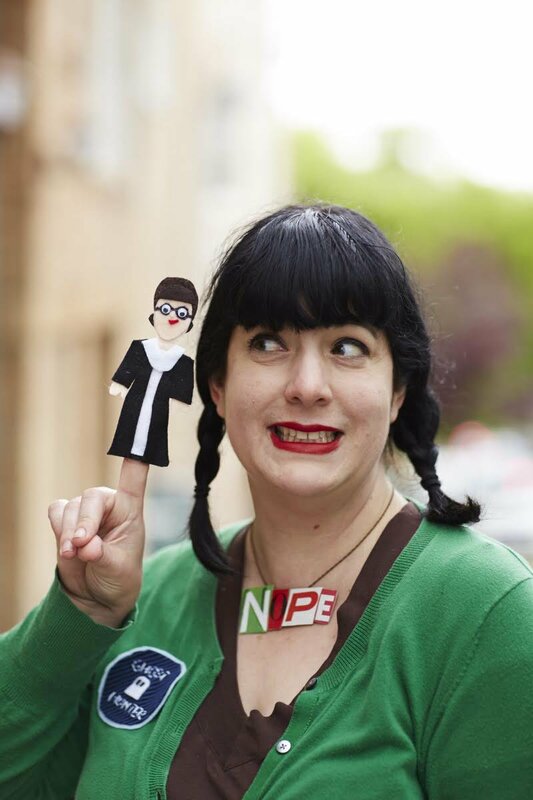 Not only is this perfect in every way because of the perfect projects, amazing photographs, and quotes from powerful women, but it’s also got a crafting party guide that you can download. So when my lady friends and I finally get our ish together, we’re going to have a rad sleepover with movies and music and this book. The book even gives you suggestions on great movies and music for all of your slumber-craft-party needs, so if you’re lost, it’s got you covered. In light of just how awful Trump is, I’ve got a couple projects from Crafting with Feminism that I will (hopefully) be trying out next week. My goal is to make a “Nasty” mug and patch, and on an unrelated note, a monster tampon case. It seems like a good time. Crafting with Feminism features full descriptive instructions on how to make your own project that will help you smash the heck outta the patriarchy. You can grab a copy (or 10) at Amazon, Barnes & Noble, Target, Walmart, or almost anywhere books are sold. And you should, because Bonnie Burton has smashed it out of the park!